They are three letters that carry a lot of weight: IRP. They stand for Immediate Roadside Prohibition, a tool RCMP officers can use in their campaign to take impaired drivers off the road. With holiday season Christmas parties starting up, now is a good time for a refresher on the IRP program. “The province wanted consequences for the driver to be timely and effective,” said Vernon-North Okanagan RCMP Sgt. Colby Attlesey, a 19-year veteran with the force who was a trainer for the IRP program when it was rolled out to police to help alleviate the backlog of drinking-driving cases before the courts. 3. If they observe a driving infraction/crime. As well, the courts have also added that police may pull over a vehicle to ensure that the driver is sober. “When being pulled over by the police it has to be for one of these reasons,” said Attlesey, a two-time member of Alexa’s Team, a program that recognizes dedicated police officers throughout B.C. 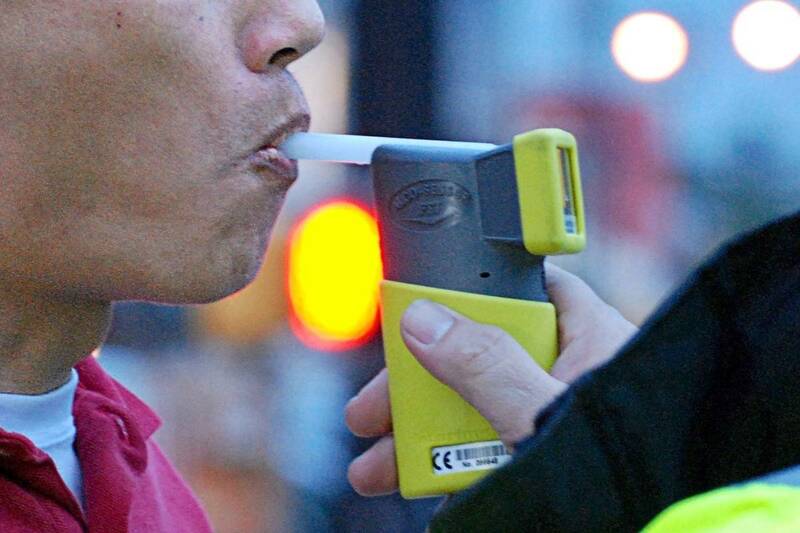 who diligently work to reduce the number of drivers on the road affected by alcohol or drugs. IRPs are issued when an officer has taken a breath sample from a driver and it has registered either a Warn or a Fail on an approved screening device. These devices are checked every 28 days by trained officers (Attlesey is a qualified breath technician, meaning he can take breath samples, and he also calibrates the screening devices). IRPs are also issued if a driver refuses to provide the breath sample. If you’re pulled over, a Criminal Code investigation (for impaired driving, driving with a blood-alcohol level of .08 or higher) and an IRP process begin. The results of the first sample will determine the officer’s next move. * Fail – This word is shown if your blood-alcohol is 100 and over. Alcohol readings are dependent on how much blood you have in your body to mix with the alcohol. One hundred millilitres of alcohol into four litres of blood will give a higher reading than someone who has five litres of blood. Since muscle tends to contain more blood then other tissue types, heavier people will be able to consume the same amount of alcohol but produce lower readings. “There are several other factors such as type of alcohol (mixed hard, straight hard, wine, beer), empty versus full stomach but these tend to affect how fast the alcohol is absorbed by the body more then what the final reading would be,” said Attlesey. If you blow a Warn, police may issue a three-, seven- or 30-day IRP after having given you the opportunity to provide a second sample in a different screening device. If you blow a Fail, the officer will detain you for an impaired driving investigation. “You will be given your rights to counsel, police warning and breath demand (this is for a larger instrument that is housed at the police detachment),” said Attlesey. “The officer will then look at your driving record and criminal record (if you have one). On three- and seven-day IRPs, impounding the vehicle is optional at the officer’s discretion. On 30- and 90-day IRPs, vehicle impound is mandatory. If you’re issued an IRP, you do not have a criminal record, which is one of the goals of the program. But, it will go on your driving record. Attlesey said the best thing drivers can do is simply plan ahead by arranging a ride home, taking a bus or calling a taxi or a driving company.